On July 16, 2008, I wrote a short article on my now-defunct Mosel Wine Merchant blog about a nuclear leak north of Avignon in the South of France. Two rivers feeding the Rhône had been contaminated near Tricastin. I also talked about France’s enormous nuclear power station in Cattenom, in Lorraine, which is located near the border of Luxembourg and Germany, not too far from Trier and the Mosel wine region. There have been a lot of breakdowns, mostly leaks, and even a fire in Cattenom a few years ago. The latest incident occurred on August 31. According to the German weekly Der Spiegel, over 700 abnormal occurrences have been reported at Cattenom in the last several years. It was built in the mid-eighties, in spite of the protests in Germany. The initiative Cattenom Non Merci is fighting to have the plant closed down. In March 2011, after the Fukushima Daiichi nuclear disaster in Japan, I saw a disturbing documentary on the French-German channel Arte about the poor working conditions of subcontractors in the nuclear industry in Europe—in particular, those in France and Belgium. EDF and other European utility companies are now using subcontractors to save money. It's worrisome, because of all the incidents, many of which go unreported. The political will to do something and the long-term maintenance of the reactors are major concerns, not to mention the dangers of where to store the radioactive waste or the great risks of leaks or, God forbid, a meltdown from mechanical defects, human error, or even terrorism. Over the years, France has had many mishaps with its nuclear power plants. In addition, most of its spent nuclear fuel is shipped from Le Havre to Russia, where it's stored, in large part, outdoors in Siberia. Despite French protests in the early years, whole communities in France are now dependent on the nuclear industry for jobs and their electricity, plus household energy bills in France are among the lowest in Europe. In a report in the Wall Street Journal, France wants to move more towards renewable energy sources, but it remains a strong supporter and exporter of nuclear energy. France derives over 75 percent of its electricity from nuclear energy, with a total of 58 nuclear reactors. I can't believe that there has been little discussion about Fukushima. The residents can never go back to their homes. Like in France, there is only a small protest movement in Japan. The nuclear industry has its way, including the recent news to restart two nuclear power plants in the south of the country. Meanwhile, the farmland, the livestock, the wildlife, and the sea are contaminated around the area of Fukushima, where radioactive cesium has been detected in rice, tea leaves, milk, beef, and fish. What about the Chernobyl nuclear catastrophe in 1986, which still has an exclusion zone of 1,000 square miles? Three decades later, the effects of the meltdown are still being felt in the Ukraine, Belarus, and even as far away as Western Europe. Germany has traces of radiation in wild mushrooms and wild boar in certain regions. The costs of trying to secure Chernobyl with a 32,000-ton arch and cleaning up are enormous. Henry Fountain of the New York Times writes, "[The clean-up] will ensure that the radiation does not eventually reach groundwater, which would endanger the water supply for the three million people of Kiev," which is 70 miles to the south. I wonder why Germany is one of the only countries whose citizens have put enough political pressure on the government to phase out nuclear power, even though nuclear power plants are still in operation, including near the wine regions of Baden, Württemberg, and the Pfalz. Since Chernobyl, Italy has stopped its nuclear energy program. Why doesn't anyone in the wine trade talk about this issue? Sometimes I ask myself what good is "natural wine" if you have a nearby nuclear power station release radioactivity in the air, water, and soil? 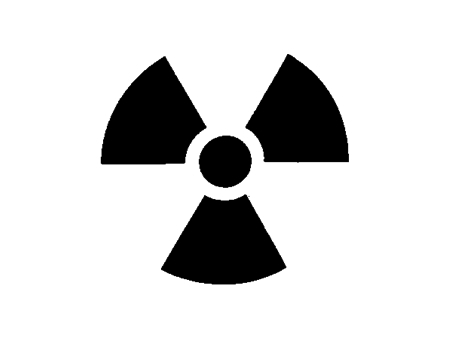 The Loire and Rhône rivers have a number of nuclear reactors, such as in Chinon and Tricastin. In fact, as reported by Decanter on June 11, 2010, the INAO finally allowed producers in the Côteaux du Tricastin appellation "to change its name to avoid associations with an accident-prone nuclear power plant in the area." The new name is Grignan-Les Adhemar. The aforementioned uranium leak from the plant caused sales of the wines to plummet after July 2008. Suppose the accident in Tricastin or in Cattenom were worse. There's no going back. But the movement against nuclear power in France is minor as compared to the mass protests in Germany, where they are now debating whether the plan for phasing it out makes sense with mounting pressure from the nuclear industry and the EU, which are using the serious consequences of global warming from the burning of fossil fuels as an argument for nuclear energy, despite the risks.